The highly popular iPad interface, updated for both Lightning and 30-pin iPads. The iO Dock is back and more capable than ever. 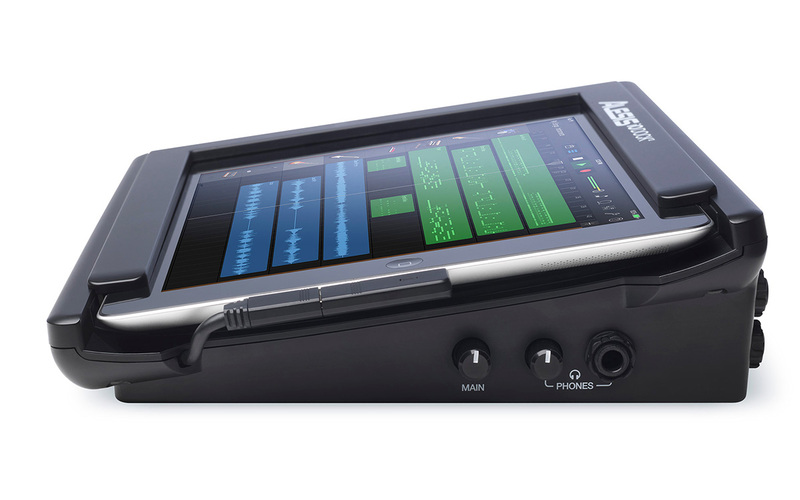 The updated iO Dock II picks up where the original left off by unlocking the power of the iPad to provide professional recording capabilities in a simple-to-use design. Just slide your Lightning or 30-pin iPad into the dock and open your favorite iOS recording app to start creating. 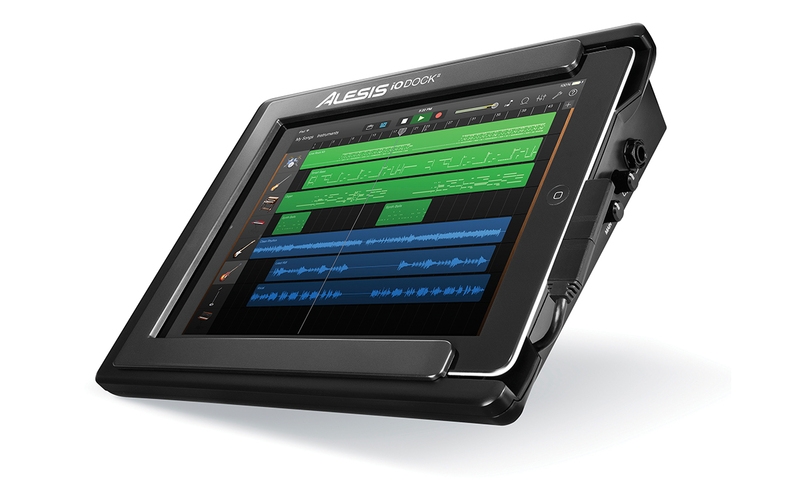 It's no secret that the iPad's user-friendly design and processing power have been a hit with musicians and producers who use apps to create music. 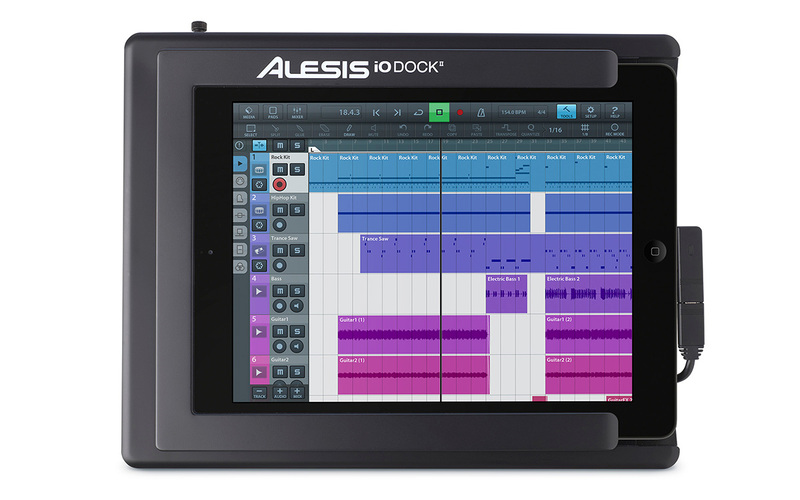 iO Dock II takes this concept a step further by letting you connect your guitar, bass, microphones, keyboards and MIDI gear in one convenient device. 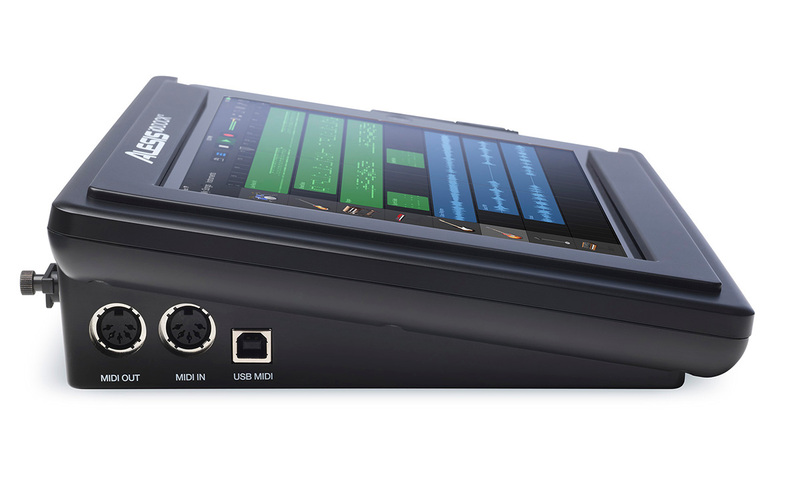 And because it works with virtually any Core Audio or Core MIDI app, you will never run out of ways to create with the iO Dock II. 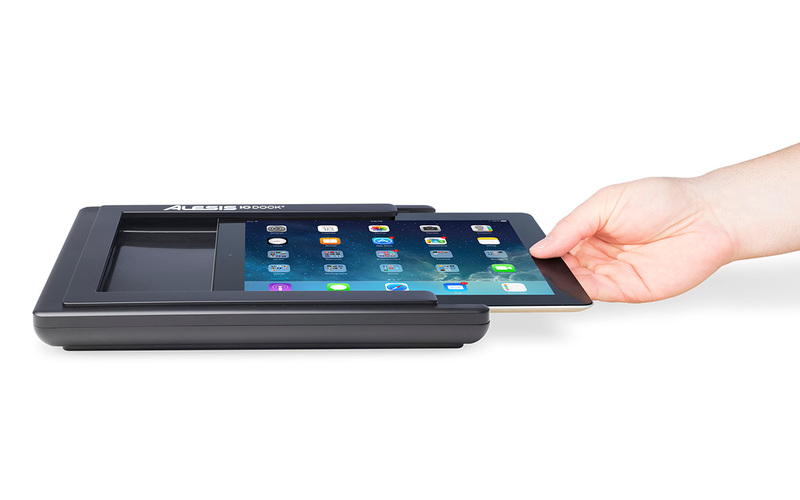 The iO Dock II is so much more than an ergonomic place to put your iPad in the studio. 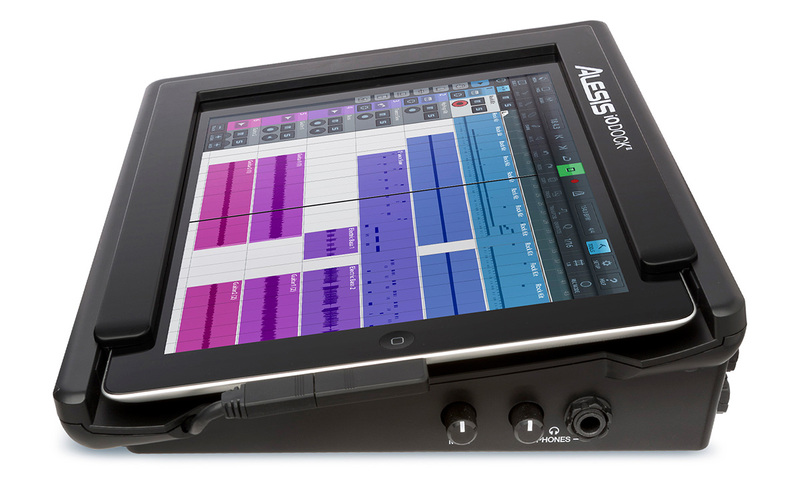 Dual combination inputs (XLR + 1/4-inch) let you record vocals, acoustic instruments, electronic instruments or ensembles with ease. Use dynamic or condenser mics to capture audio via the onboard mic preamps with phantom power. 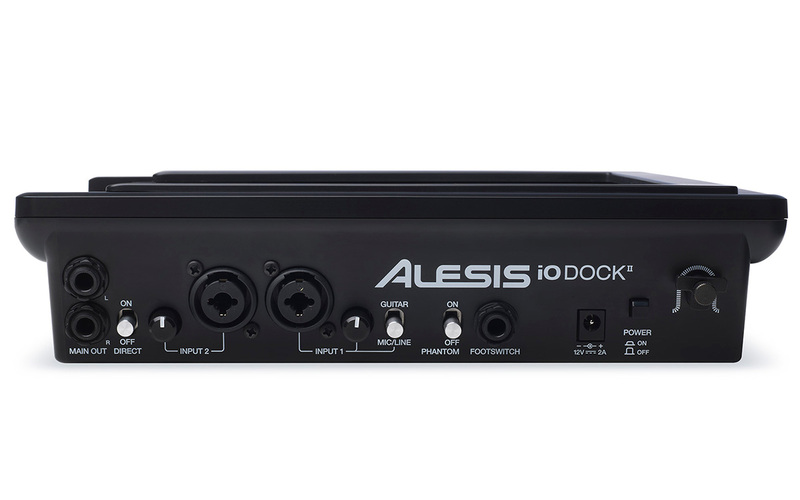 Integrating the iO Dock II into your live or home studio setup is just as easy, thanks to 5-pin MIDI In/Out jacks and a USB MIDI Out port. The improved high-impedance input gives you a dedicated jack for your guitar/bass that ensures you have a clean, pure signal for tracking or 3rd party FX apps. Dedicated headphone and 1/4-inch outputs let you listen to your tracks on studio monitors or 'phones. The assignable footswitch jack opens up creative possibilities for gigging or virtual instrument performance.